Yellow vests imposed on motorists become powerful anti-government symbol. For more than a week, protests have been underway across France, sparked by January’s scheduled increase in carbon taxes on gasoline and diesel fuel. These taxes are supposed to save the world from climate change by encouraging everyone to drive less. There’s a poetic aspect to these protests. 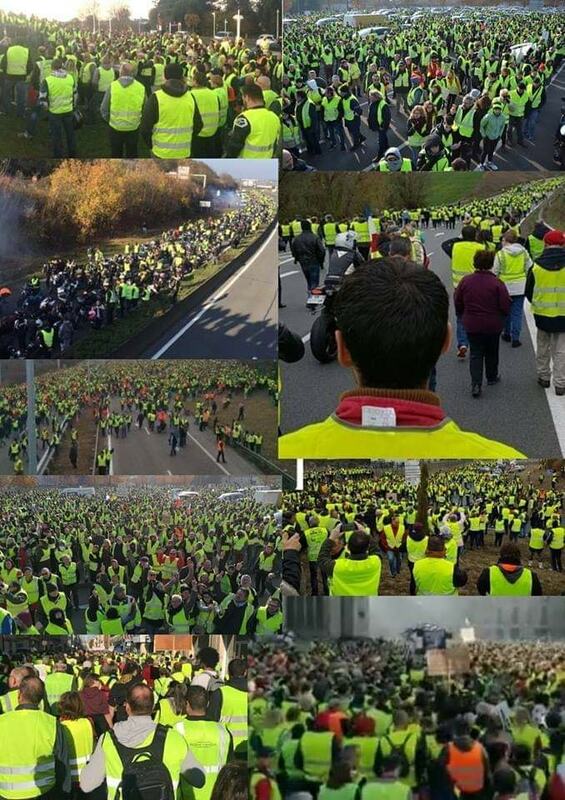 French law mandates reflective yellow vests in every automobile. These aren’t to be kept in the trunk/boot, but within the cabin itself. In the event of a breakdown, a vest must be donned before one exits the vehicle. Perhaps there’s some sense in this. But as soon as something stops being a suggestion and instead becomes a law, problems arise. One wonders how politically connected the manufacturers/distributors/retailers of such vests happened to be around the time that law got passed. More importantly, individual liberty is undermined when police have an excuse to harass anyone at any time under the guise of checking for the presence of such vests. In a marvelous flourish, the good people of France have turned this lemon into lemonade. Dressed in these vests, they’ve taken to the streets to protest. An item everyone has been forced by the government to purchase has become a powerful symbol of resistance to a government-imposed carbon tax. Visual impact is tremendously important if one hopes to attract media attention. A good visual can mean the difference between making it onto the television news or being wholly ignored. The photos of, and videos from, these protests are fantastic. Those yellow vests (gilets jaunes) are the cat’s meow. See Geoff Chambers’ compelling exploration of the larger context of these protests here and here. Two days ago, the UK Guardian published mini-interviews with five participants at this past weekend’s Champs-Élysées demonstration in Paris prior to things turning violent. The photo at the top of the article provides a sense of scale. There’s a huge difference between peaceful protest and violence and vandalism. People who attack police and firefighters, and who damage property, aren’t admirable – whether they’re wearing gilets jaunes or not. This entry was posted on November 26, 2018 by Donna Laframboise in media and tagged media.